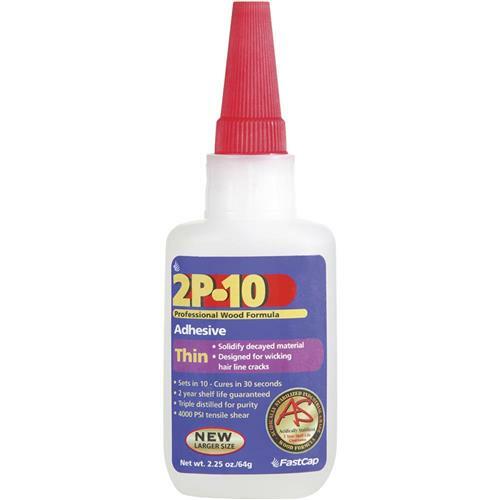 2P-10 Thin Adhesive, 2.25 oz. FastCap 2P-10 THIN 2.25OZ - 2P-10 Thin Adhesive, 2.25 oz. 2P10 Thin Adhesive, an industrial grade instant glue is made specifically to work with wood. Features include 30 second cure, 2 year shelf life and crystal clear dried finish. Used for nonporous surfaces like ceramics. Excellent micro crack filling and precision mending, zero glue line.